Does it seem like the evidence and the odds are stacked against you? Sometimes, things aren't as they seem. At the law offices of John W. Callahan, Ltd., we take pride in our refusal to back down from challenges. We believe in getting to work as soon as possible to look for every possible opportunity that could allow us to keep you out of jail and protect your record. Maybe, after careful examination, the odds aren't as bad as they seem. To speak within minutes with a skilled criminal defense attorney about burglary and related theft crimes, call us at 1-877-335-6697 today. You can also e-mail us. 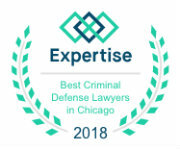 In Chicago and the surrounding parts of Illinois, people turn to John W. Callahan, Ltd., because we have a reputation for fighting to get results that matter. When we take a case, we are not interested in taking an easy way out by pleading guilty or accepting an unfair offer. We want to beat the case. We want to protect your rights. We can defend against charges of residential burglary. If you are accused of breaking into and robbing a house, we can stand by your side. Whether you are accused of taking jewelry, money, electronics or any other property, you can turn to us for help. We are also available to stand up for your rights in cases involving burglary of commercial property, such as an auto dealership or an auto body shop. We can also help in cases involving burglary from an automobile, including accusations of stealing car stereos, money or other property from inside a motor vehicle. The lawyers at our firm can also offer a strong defense against charges related to burglary, such as selling stolen goods. We want you to know that we can take these cases on. We know how to win these cases. Sometimes, people accused with a crime such as burglary may feel like the odds are stacked against them. In fact, a lawyer might even agree and tell that person just to give up and plead guilty. You won't find that type of lawyer at our firm. At the law offices of John W. Callahan, Ltd., we refuse to back down against any challenge. In fact, we have built a history of success taking on impossible cases and often helping our clients walk away without jail time and with clean records. 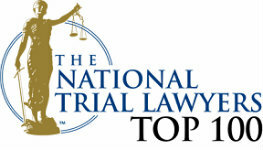 To arrange for a free consultation, call our office at 1-877-335-6697 to speak with a lawyer. You can also reach us by e-mail. We will help you understand the options you have available to fight your burglary charges.